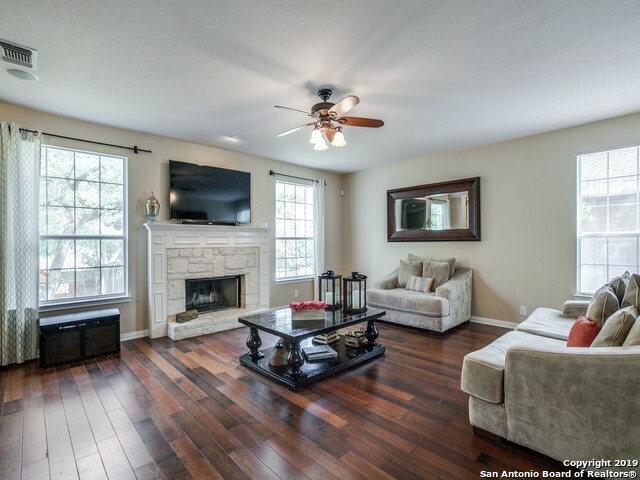 All TERRACES AT ENCINO P homes currently listed for sale in San Antonio as of 04/24/2019 are shown below. You can change the search criteria at any time by pressing the 'Change Search' button below. "This beautiful Perry Home is nestled in the gated community of the Terraces at Encino Park. This home was built for entertaining inside & out. Open floor plan with high ceilings, lots of natural lighting, hardwood floors, jenn-air appliances, granite counter tops, tons of storage, a large pantry & a sink in utility room. Outdoor living with 60k in patio upgrades including a hot tub, custom lighting. Three car garage includes epoxy floors, cabinets, sink, ceiling fans, insulated garage doors an"
"Gorgeous, well appointed home awaits you. This beautiful Highland Home offers: a chef's kitchen w gas cooking, 42 cabinets, walk in pantry, two dining areas, one bedroom with full bath down, 2 living areas down w/ a game room up, family room has surround sound, game room pre-wired for surround sound, new carpet, new paint, new roof, new water softener, new kitchen appliances, 3 car garage with additional 2 feet added, hot tub, and sits on .24 of an acre. Great amenities & minutes from schools & "
"OPEN HOUSE APRIL 14TH 2-4pm WOW Beautiful Spacious home with a knock out Terraced back yard that has Rock wall and privacy fence that adds to the feeling of your own piece of paradise. Wonderful floorplan with all bedrooms downstairs and a HUGE gameroom with bath upstairs. All the bedrooms feel like a master with Jack-N-Jill Bath. large kitchen with updated stainless appliances and Corian Counters. Must see Living area w/ wall of windows to bring the outside in. Tiled patio for lounging & eveni"
"Great CURB Appeal! 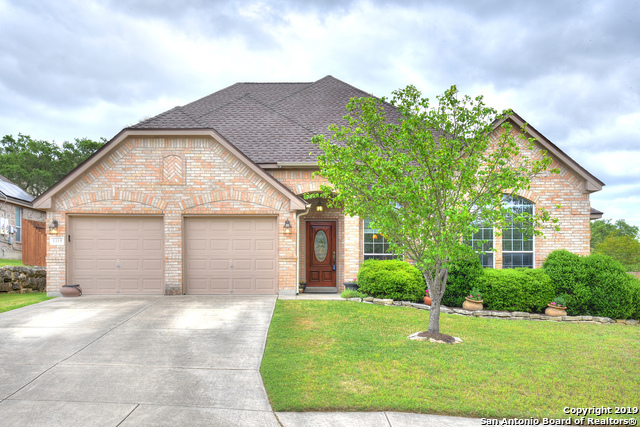 ~Covered FRONT Porch ~ STONE F/P in Family Rm ~ PLANTATION Shutters & Crown MOLDING Thru-Out ~ TRAVERTINE Tile & HARDWOOD Floors ~ Formal Living&Dining ~ KITCHEN Features GRANITE Countertops w/Custom TRAVERTINE Bksplash ~ MASTER UP w/Large BATH Featuring Dbl Vanities, SEPARATE Shower & GARDEN Tub ~ NEW Roof 2018 ~ FRESHLY PAINTED Patio Deck ~ SHADED Backyard w/MATURE TREES, Custom STONE Flower Beds, FLAGSTONE Walk & Privacy Fence ~ MAN CAVE 15X21 w/Window AC/HEAT Part of EXTEN"